Product prices and availability are accurate as of 2019-01-12 20:40:32 UTC and are subject to change. Any price and availability information displayed on http://www.amazon.co.uk/ at the time of purchase will apply to the purchase of this product. Hawk (John Terry) is a man of courage, honour and duty; a marked contrast with his deformed, cruel and perverse older brother Voltan (Jack Palance), who wears a black mask to disguise the fact that he bears the mark of Cain. 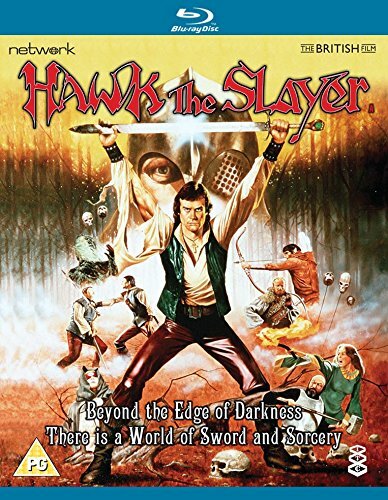 When Voltan slays their father, Hawk is entrusted by the dying man with his magic mind-sword, with which he vows to avenge his death.